Communication skills, perseverance, commitment, learning ability, punctuality, ambition and responsibility. My ability to communicate well enables me to work effectively with clients to identify objectives and requirements for applications. Creating and implementing new cross - browser site layout (from PSD layouts), created part of back-end functionality, optimized existing functionality and code structure. 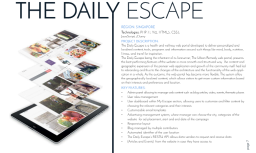 The Daily Escape is a health and wellness web portal developed to deliver personalized and localized content, tools, programs and information around such things like mind, body, nutrition, fitness, and travel for inspiration. 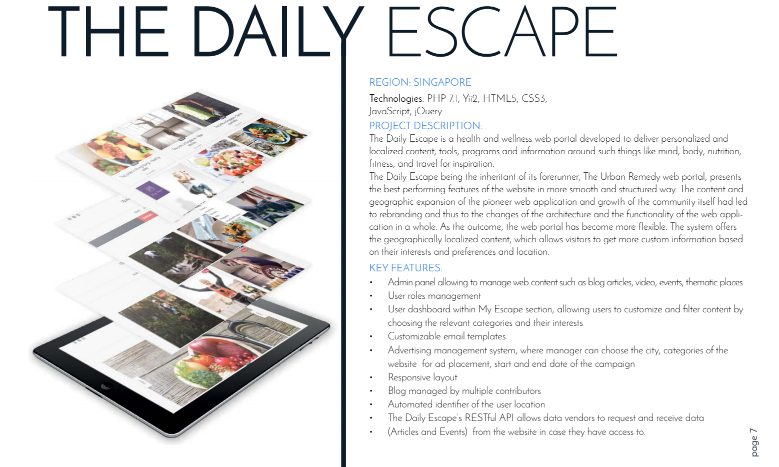 The Daily Escape being the inheritant of its forerunner, The Urban Remedy web portal, presents the best performing features of the website in more smooth and structured way.